October heralds in the first official month of fall. 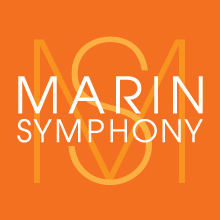 All around Marin County, there are art, music and film festivals as well as events benefiting the Humane Society, discussions about sustainability, Brewfests, Expos, and lecture series. In short, there is something for everyone! Bring your friends, family and pets to this fun event that benefits Marin Humane; features live music, food from Extreme Pizza, beer, wine and booths with local merchants. October 1. Noon to 5pm. $40. Marin Humane, 171 Bel Marin Keys Blvd, Novato. marinhumane.org. Presented by the California Film Institute, this 40th annual event is always full of stars, and features the best of independent and world cinema screening at several venues in Marin. Films already scheduled include the California premiere of director Todd Haynes’ latest film, Wonderstruck, screening as part of a festival tribute to the independent filmmaker. Several musical offerings are also in the works, complementing the thoughtful on-screen program with concerts each night at Sweetwater Music Hall. Oct. 5-15. mvff.com. The long-running program at Santa Rosa High School nurtures talented youngsters from Sonoma County in seven different artistic disciplines and offers an above-and-beyond experience for students. Each fall, the students of ArtQuest present a showcase of their studies and work, including music, live theater, digital arts, dance and more. Oct. 5. SRHS Auditorium, 1235 Mendocino Ave, Santa Rosa. friendsofartquest.com. The society begins its 2017-18 chamber concert series with a performance by internationally renowned classical artists the Miró Quartet. Oct. 8. Mt. Tamalpais United Methodist Church, 410 Sycamore Ave, Mill Valley. 800.838.3006. For the first time ever in Marin County, Brian Copeland presents the Bay Area’s most critically acclaimed, award-winning and beloved solo shows for an exclusive run, starting with Marga Gomez’s one-woman-show, “Latin Standards,” on Oct. 8. Marin Center Showcase Theater, 10 Avenue of the Flags, San Rafael. Tickets available as a series only. 415.473.6800. Fourth annual culinary festival starts with cocktails and appetizers, with wine tastings, savory foods from local restaurants and live music from Pride & Joy in a fabulous indoor/outdoor setting. Proceeds from the event provide scholarships to the many programs offered by the Osher Marin JCC. Oct. 14. 200 N San Pedro Rd, San Rafael. 6:30pm. $100 and up. marinjcc.org/alfresco. This free event in Fairfax, the birthplace of the mountain bike, celebrates bikes with plenty of food, music and brews, exhibitors and several group rides to choose from. Oct. 14. 11am to 5pm. $40/35-beer sampling. Fair Anselm Plaza, 765 Center Blvd, Fairfax. biketoberfestmarin.com. Learn about groundbreaking ideas and discuss building a blueprint for sustainable systems. Notable speakers include Amy Goodman, host and executive producer of award-winning news program Democracy Now!, and John Wick, co-owner of the Nicasio Native Grass Ranch and the co-founder of the Marin Carbon Project. Oct. 20-22. Marin Center, 10 Avenue of the Flags, San Rafael. conference.bioneers.org. Marin’s Center for Domestic Peace celebrates its 40th anniversary of serving the community with a party that looks back on the center’s journey through the decades. Food, music, dancing and other fun marks the occasion, and several special guests and community members will share their stories of how the center transformed their lives for the better. Oct. 21. Terrapin Crossroads, 100 Yacht Club Dr, San Rafael. 6pm. centerfordomesticpeace.org. Presented in partnership with Book Passage, this stimulating series includes first daughters Barbara and Jenna Bush, CNN commentator Van Jones, New York Times bestselling novelist Amy Tan and journalist Dan Rather, anchor for the CBS Evening News. Oct. 22 through Dec. 6. Angelico Hall, Dominican University, 50 Acacia Ave, San Rafael. bookpassage.com/dominican. The orchestra marks a new season of Masterworks concert performances with a program titled “Romance,” featuring renowned violinist Jennifer Koh performing Modest Mussorgsky’s “Night on Bald Mountain,” Samuel Barber’s violin concerto and Tchaikovsky’s 4th Symphony. Oct. 29 & 31. Marin Center’s Veterans Memorial Auditorium, 10 Avenue of the Flags, San Rafael. Sunday, 3pm; Tuesday, 7:30pm. $40 and up; kids, $15 and up. 415.473.6800.